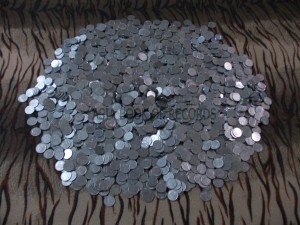 The largest collection of 25 paisa coins as on November 26, 2012 is 10, 293 and belongs to Rahul G. Keshwani (born on March 11, 1985) of Maharashtra, India. His collection includes the coins from 1950 to 2002 which has been kept in plastic bags by separating them in sets of 100 coins. Comments for LARGEST COLLECTION OF 25 PAISA COINS are now closed.